The Our Faiths and Our Shared Futures booklet is the culmination of 1 years work with imams, priests and rabbis in Derby. The booklet looks at scriptural narratives that underscore the need for (1) the respect of difference (2) the protection of life (3) countering extremism. The booklet is made up of the work of many within the City and is a local narrative against division and extremism and against those who want to separate communities. Faith Matters worked with local religious leaders in looking at relevant religious texts in relation to the themes above and also facilitated interfaith meetings. 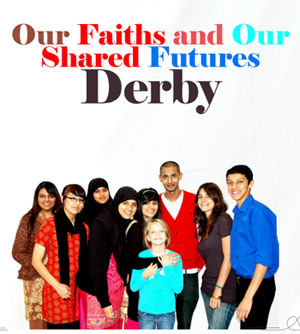 The text was then edited by local young people in Derby and Faith Matters faciliated and supported local Derby young people in putting together the booklet. This is a booklet developed by local residents in Derby to tackle issues of extremism. Truly Big Society in Action!